On October 30, the EU and Canada ended weeks of uncertainty by finally signing the Comprehensive Economic and Trade Agreement (CETA) – a landmark deal that will remove almost all import duties on industrial goods. 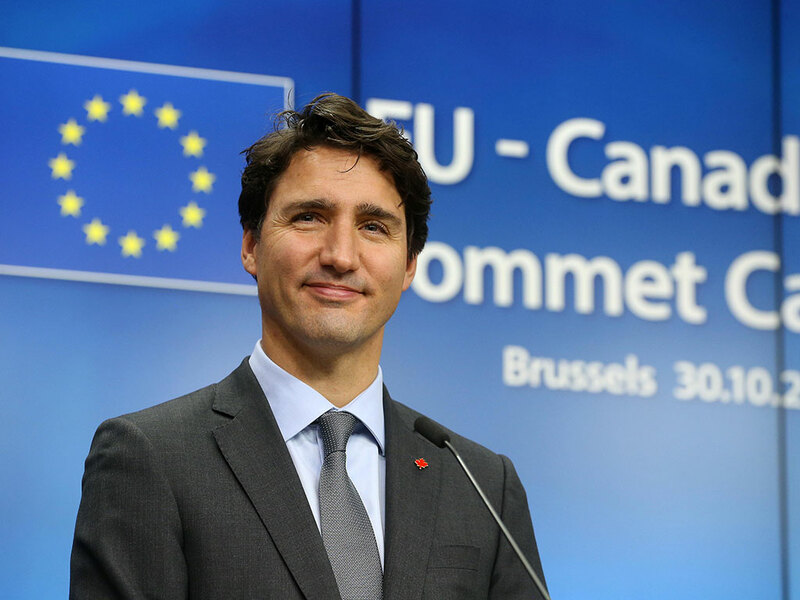 Canadian Prime Minister, Justin Trudeau, and a panel of top EU officials signed the deal in Brussels on Sunday. The signing ceremony was initially scheduled to take place last week, but was postponed following objections from Belgium’s French-speaking Wallonia region. A consensus with Belgium was reached on October 27, finally granting the deal with the required approval of all 28 EU member states. The deal will eliminate 99 percent of import tariffs, saving European exporters more than $500m in duties every year. Once the agreement is fully implemented, European officials expect the EU economy to increase by at least €5.8bn annually – bolstered by a potential 20 percent rise in Canadian-EU trade. Under the terms of the deal, almost 92 percent of EU food products and agriculture will be exported to Canada tariff-free, while the agreement also promises to uphold EU regulations on food safety – including the region’s much-disputed ban on hormone-treated beef. The deal, described by the European Commission as “the EU’s most advanced and progressive trade agreement to date”, provides a strong trade pact with a G7 economy in a time of instability and uncertainty following Britain’s vote to leave the European Union. The CETA negotiations, however, were almost derailed in their final stages, after Belgium’s Wallonia region vetoed the agreement; citing concerns over the socio-economic and environmental impact of the deal. The French-speaking region called for stronger safeguards on labour and legislation protecting its agricultural sector – with the region set to face increased competition from Canadian farmers. On October 27, the Belgian Prime Minister confirmed that his government had reached a compromise that addressed these regional concerns, paving the way for the deal to come into effect. As Britain prepares for life outside of the EU, the complications illustrated by the CETA negotiations further emphasise the difficulties Britain may face when attempting to secure any future trade agreements with their European counterparts.